Body image, and the pressure to look a certain way to meet society's standards, can weigh young girls down. The elementary school full of laughter , the way it should be for all youngsters. While all the little kids were out playing jump rope, Emily Quintero agonized over her weight. Still to this day she remembers the exact words Angel Valora told her when she was in 5th grade “You’re just fat.“ After almost 7 years she still can’t erase the voice of Valora approaching her about her body. Quintero was never concerned about the way she looked, especially not in elementary school. She had this aggravating feeling that since that day forward to feel as if everything went downhill for her. After that day she wanted to starve herself, and she has never felt content about the way she looked at herself in the mirror. Kids are starting as young as the age of five thinking that they have to be thin. These can result in a higher suicide and depression rate in youngsters. It’s very unhealthy to the mental as well as the physical mindset of children to feel the need to look a certain way to feel pretty or handsome. Quintero has felt that social media does have a very strong negative impact on her because she sees how these other thin women post online, making her feel as if she doesn’t look like that, then she isn’t good enough to post a simple photo of herself. “I feel like that’s what society makes me feel like or even want me to look like,” Quintero states as she looks down onto her hands. She never would wear a two-piece swimsuit anywhere, but this one day she felt comfortable with one and decided to go to Soak City with her family. Once she arrived, she couldn’t help but to try her best to cover herself with a t-shirt she had in her bag because she felt like everyone was staring at her. “I wanted to hide in my shell,” she says. She had that fear and anxious feeling that every step she took she was being judged at and stared at for not being the ideal weight society expects women to be. Anyone would assume that family will never judge you right ? Well it hasn’t been that easy for her to feel that way. Quintero loves her family, but there are times when she feels that pressure to be thin even around her own blood. “My dad always tells me how I’d be so much prettier if I were to lose weight,“ she said. Parents want what is best for their kids, but there are different ways to help encourage these actions instead of blurring it out to their kids. That only makes them feel unaccepted by their own peers. “I never open myself to anyone because I feel like I’m not their type, they all want women who look like celebrities,” Quintero said. Growing into a young woman, she always thought about how nice it would be going on dates to the fair or the movies, but she’s been plagued with the fear that she doesn’t meet those “criteria” to be able to have a male’s attention for herself because she isn’t thin.This is something that can lead to depression since women feel the need to push themselves to the limit for men that don’t want to accept women for who they are. That’s what many women do, they close their doors to situation like such because they don’t feel good enough for anyone. Not being a size zero has lead many women to feeling incomplete and unable to ever find happiness with themselves. 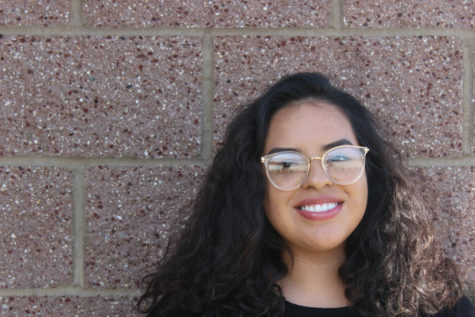 There needs to be a change in the way young kids are growing up with these types of mentalities.“They all have standards that I always felt the need to follow,” Quintero said.